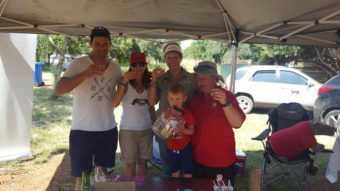 Last week the Makanyane Volunteers set up at Pilanesberg Centre with Bev and Vaughan Brown. 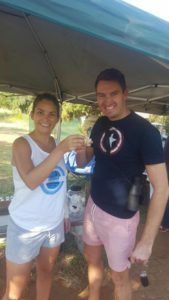 A total of R26,000.00 was raised! Thanks to all the volunteers… You are all amazing and I appreciate all you do in Pilanesberg! Those that stopped by and supported, thanks very much for taking the time. 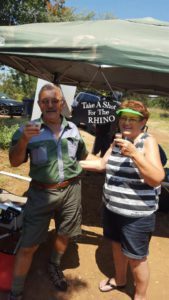 Lots of you also took a ‘shot for a Rhino’!